Editors Note: This is part one of a two part series, read Part II here. Are you ready to have a tough conversation? Are you ready to talk about staggering state budget shortfalls and difficult decisions about whether to tax nonprofits or cut programs? Are you ready to become active and engaged citizens in the midst of this chaos? Whether you are ready or not, these threats to nonprofits affect you. NPQ regularly reports on shifts in policy, practice and budgets at the state and local levels, but information is useless unless we do something with it. So are you ready? Let’s talk. Tim Delaney, president and CEO of the National Council of Nonprofits, will guide us through this uncomfortable conversation. 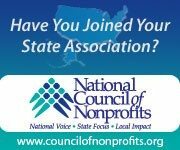 The National Council of Nonprofits is the nation’s largest nonprofit network with more than 24,000 member organizations across the country connected through their state associations of nonprofits. This will be a discussion in two parts. Today, Delaney describes how state and local governments, starving for revenues, have shifted their fiscal burdens onto nonprofits and foundations in three ways. Tomorrow he will explain why policymakers are shifting their public fiscal responsibilities onto the backs of private foundations and nonprofits – hint: it’s not what you might think. He will conclude with suggested action steps and a request for your ideas. Again, this is a conversation. NPQ invites you to add your observations and assenting or dissenting opinions to give body and life to this discussion. Three dangerous policy trends threaten the missions of nonprofits across the nation. These trends are interrelated and need to be addressed proactively with the nonprofit sector’s focused collective energy. A steady marginalization of nonprofits from the public policy process that, in turn, represses the voice of the American people. This purposefully provocative article documents each of these interrelated trends and, through an innovative community dialogue facilitated by The Nonprofit Quarterly, invites you to share your experiences and insights. The mini-series concludes with an opportunity for readers to share your proposed action steps for reversing these dangerous trends. State and local governments, starving for revenues as the lengthy economic recession continues to wear down their budgets, have been shifting their fiscal burdens onto nonprofits and foundations in three ways: (1) withholding payments they owe nonprofits for contracted services; (2) taking money from nonprofit programs by imposing new fees and taxes; and (3) eliminating essential programs by slashing funds yet expecting others to fill the voids they create. Consequently, people in many communities receive fewer services for basic human needs. Left unchallenged, this shifting of public responsibilities to private entities will continue, as government officials concede that their fiscal conditions are getting worse, not better. It gets worse. Consider the following sets of burdens that state and local governments now face: immediate economic drains, inherited ticking time bombs, and recent self-inflicted wounds. Unemployment Costs: Unemployment hovers between 9 and 10 percent across the country, with about 15 million Americans out of work, draining resources and depleting revenue streams. Health Care Costs: States’ health care expenditures are skyrocketing – especially with Medicaid – as the numbers of uninsured and underinsured grow and health care costs continue to increase. NPQ wants to hear from you! Submit your experience of the ARRA cliff and join the discussion. State unemployment trust fund debts: Thirty-one states have borrowed more than $40 billion from the federal government because their unemployment trust funds are depleted, which further mires those states in debt and deficit modes. Underfunded pension fund debts: The Pew Center on the States recently documented that state and local governments have underfunded their retirement systems by at least one trillion dollars. Gimmicks and Tricks: Many states resorted to what others have described as accounting “gimmicks” and “stupid budget tricks” that provided states with short-term cash but now cost them more (e.g., selling the state capitol, courthouses, and other buildings and then leasing them back at higher costs). Have you witnessed your state performing stupid budget tricks? Share what happened and join the discussion. False Budgets: Legislatures, filled with politicians running for re-election, opted in 2010 to delay difficult decisions on whether to increase taxes or cut programs until after the election. Since adopting their FY2011 budgets, a dozen states have announced huge “new” mid-year budget shortfalls. Plus, as state legislatures begin meeting to adopt their FY2012 budgets, at least 11 states face a staggering shortfall of at least 20 percent of their budgets. As with most things, the initial wave occurred first because it was the easiest to implement: public administrators withheld payments t governments legally owed to nonprofits for services the nonprofits had delivered pursuant to valid and binding contracts with governments. This sad practice predates the Great Recession, yet the severity of the economic downfall has expanded the practice’s use and exacerbated the consequences. 68 percent [of human service nonprofits] reported that government not paying the full cost of contracted services was a problem. 76 percent indicated that the complexity and time required for reporting on contracts and grants was a problem. 75 percent indicated that the application process was too complex and time consuming. 58 percent said that government changes to contracts and grants were a problem. 53 percent said that late payments were a problem. Tell us your experience, how much are you owed, by whom, and what is it doing to you? proposing solutions that nonprofits, government officials, funders, and citizens can adopt to improve services, restore value for taxpayers, and strengthen communities. No one should accuse governments of acting with malice, intentionally trying to abuse the nonprofits delivering services and the individuals who are to receive services. Rather, over time this service-delivery “system” has evolved through happenstance, not design, and left nonprofit human service providers at the mercy of uncoordinated and often contradictory policies and practices of different federal, state, and local government departments, agencies, and offices. As state and local governments attempt to impose new fees and taxes on tax-exempt nonprofits, they essentially are trying to take money away from nonprofit missions – money that would be used to deliver programs and services for individuals and local communities. Tell us about the most devastating specific program cuts your nonprofit has endured. Some jurisdictions are attempting to impose new taxes on nonprofits, including not only new sales and property taxes, but also reclassifying longstanding tax-exempt property as suddenly taxable. For nonprofits barely surviving in this brutal economy, every little nick hurts, taking funds from delivery of their missions. To balance their budgets, some governments have found it easier to cut spending on programs than to raise taxes, apparently assuming that nonprofits and foundations will pick up the slack. When eliminating funding for programs, governments have not simultaneously eliminated the underlying human needs. Rather, government officials have assumed that someone else would step forward to continue to deliver the programs to meet the community’s on-going needs. In so doing, public policymakers effectively have dumped their problems into the laps of mission-driven nonprofits and foundations. The bottom line is that this is not a partisan problem of hyper-politics run amuck again; this is an American problem, hitting communities across the country. It’s time for the voices of the American people to be heard. But is there a way for that to happen? Look for Part II tomorrow wherein Tim Delaney further explains that government policymakers are taking these actions not because they are mean-spirited, but because of a basic lack of understanding about nonprofits and about how much government relies on nonprofits. In turn, their lack of knowledge occurs in part because a variety of barriers have shunted nonprofits away from public policy. Finally, Delaney invites you to contribute your ideas for action steps.